State Rep. Sara Feigenholtz (D-Chicago) demands transparency from DCFS. Pictured: James McIntyre (far right), with the Foster Care Alumni of America Illinois Chapter and Kyle Hillman (left) with the National Association of Social Workers Illinois. Lawmakers are urging the Illinois Department of Children and Family Services be more transparent with the public. 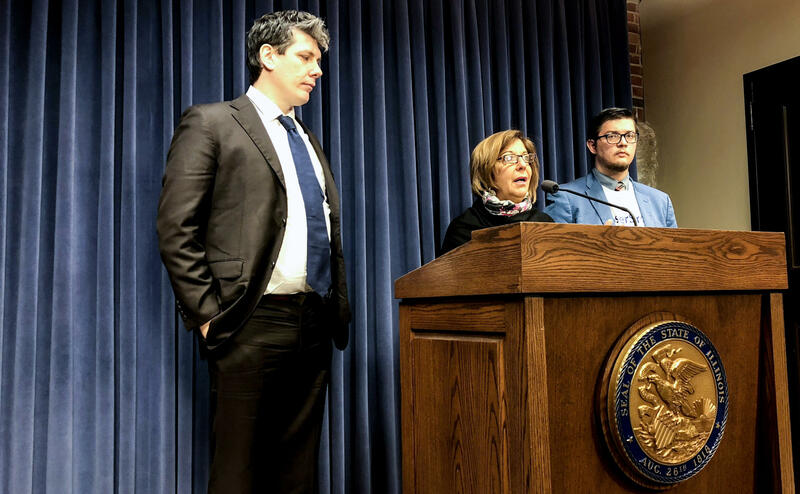 State Rep. Sara Feigenholtz — a Chicago Democrat — said in a press conference Tuesday the agency withheld reports on incidents of child abuse over the last few months. She says the agency took down the data from its website last July — a first after 35 years. “I’m certainly hoping this isn’t secrecy and trying to shroud facts about what’s going on with children," she said. Feigenholtz filed a House resolution last week asking the agency to release the data, after going back and forth for 9 months with Freedom of Information Requests. Tuesday morning, the data was back up on the DCFS website. In a statement, Walker said there are no increases in the number of re-abused children. She said these are a result of a change in how the agency tracks cases about a family. "The numbers are higher because we started counting them so we can have a real-time running total of how many investigative contacts we have had with a family." According to Walker, the previous way of tracking did not take into consideration prior reports of abuse if they happened to be unfounded. The DCFS monthly reports are used in appropriation committees where lawmakers discuss the allocation of resources where they are most needed. Feigenholtz said she is willing to file additional resolutions to ensure reports and data are not being withheld -- but that this shouldn't be the only way to obtain information. "We are all very, very concerned about the lack of transparency, the lack of discussion, the lack of conversation," she said. The death of a one-year-old child in Joliet Township has Illinois' child-welfare agency on the defensive. 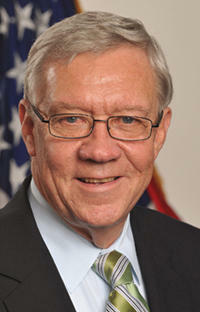 Department of Children and Family Services director George Sheldon testified Wednesday before a state Senate committee.